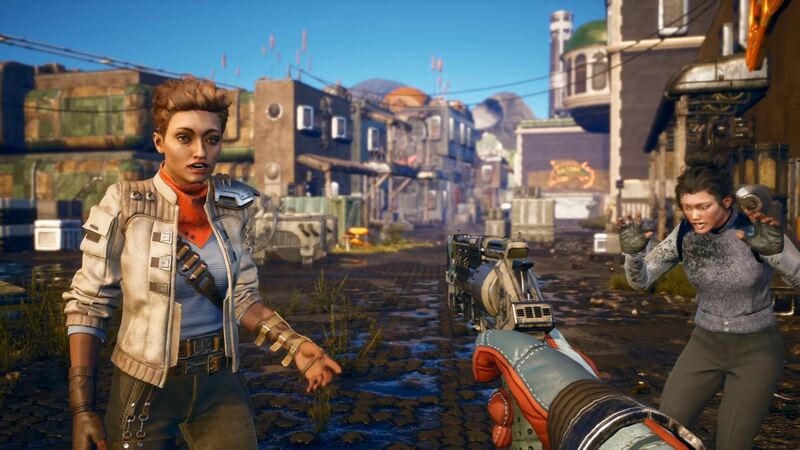 One of the features that fans were expecting was a large open world to explore in the upcoming Obsidian Entertainment made The Outer Worlds. This all came crashing down when the co-directors spoke with Game Informer on the length of the game. In the video interview, co-directors Leonard Boyarsky and Tim Cain explained the game won’t be long or a really open world. Of course there’s all kind of speculation about how long it’ll be. But, people are speculating, like, hundreds of hours of gameplay and . . . no. They don’t know the specifics, they just know it won’t be a game you’ll play for an extremely long time. Game Informer’s Ben Hanson chimed in giving off a rough estimate of fifteen to forty hours. Both Boyarsky and Cain agreed that sounds about right. To make up for the less than expected game length, they have aimed to make The Outer Worlds extremely replayable. They’ve done this by adding multiple choices that leave you wondering what would have happened if you did something else. No release date has been solidified for The Outer Worlds, but we know it’ll be 2019 for the PS4, Xbox One, and PC. I'm Gabriel Stanford-Reisinger, an aspiring video game journalist. I mostly do news articles 'round here. I smash my head against a keyboard and words magically appear.